Gall Thomson technology has been protecting assets, personnel and the environment for over 34 years. 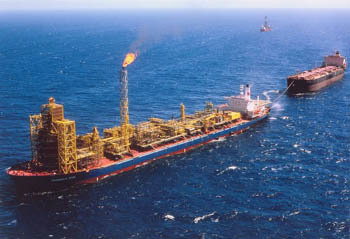 Successful field experience in the harshest of marine environments and a track record of having more than 1,500 MBCs in service, means Gall Thomson possesses an unprecedented record of delivering units that perform precisely as expected: saving the hose system and associated structures from damage and preventing potentially severe environmental pollution and costly clean-up and vessel downtime. 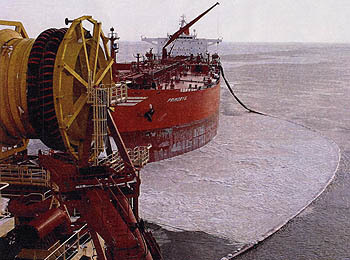 Even in the harshest of marine environments, Gall Thomson MBCs consistently deliver reliability around the world. Gall Thomson MBCs are designed to meet the demands of a range of hazardous and non-hazardous liquids and gas product transfers. 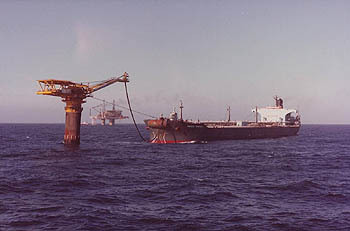 Photo: Gall Thomson MBC fitted within hose connection to FSO. All Gall Thomson MBCs are tested and proven to suit their respective transfer applications and systems. All Gall Thomson units undergo rigorous testing before being certified. Unrivalled quality control procedures are integrated throughout the manufacturing process; including material management within components. For example, breakstud ratings are tested from the same titanium material as used in the final product. Gall Thomson can also perform additional tests according to customer requirements. Photo: Gall Thomson MBC being prepared for extreme bend test. *Confirmed by field operators performance reports. 2012.